3 Dwight, Benjamin W., The History of the Descendants of Elder John Strong, of Northampton, Mass., Vol. 1, Albany, New York: Joel Munsell (1871), 308-310, Internet Archive (Digital Library). 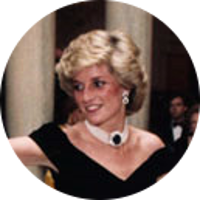 4 Evans, Richard K., The Ancestry of Diana, Princess of Wales , Boston: New England Historic Genealogical Society (2007), 93. 5 Roberts, Gary Boyd, Notable Kin, Volume 1 , Santa Clarita, California: Carl Boyer, 3rd (1998), 20. 6 Roberts, Gary Boyd and William Addams Reitwiesner, American Ancestors and Cousins of The Princess of Wales, Baltimore: Genealogical Publishing Co., Inc. (1984), 28, Ancestry.com (Online Database). 7 Seaver, J. Montgomery, Allen Family Records, Philadelphia: American Historical-Genealogical Society (1929), 20, Heritage Quest (Digital Library).